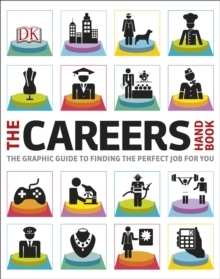 This practical careers handbook helps you get to grips with the job market - packed with job inspiration and advice for career developmentWhether you want to know how to get into your dream career, need help understanding the job market or you simply don't know where to start your job search, The Careers Handbook is packed with advice and inspiration to find the perfect job for you! Browse 17 different industries, from Law and Science to Engineering and Media, finding new, exciting jobs and inspiration in the current job market. Answering all the difficult questions you don't want to ask careers advisers or recruiters The Careers Handbook is your ultimate guide for a successful job search and career development. Choose from 400 exciting careers and find out what qualifications you need, how much you could earn and how to get ahead in your chosen career!